Score a winning touchdown at your next party with this Football Pinata. Party guests will love this classic hard hitting party game, showering them in candy and Football party favors. 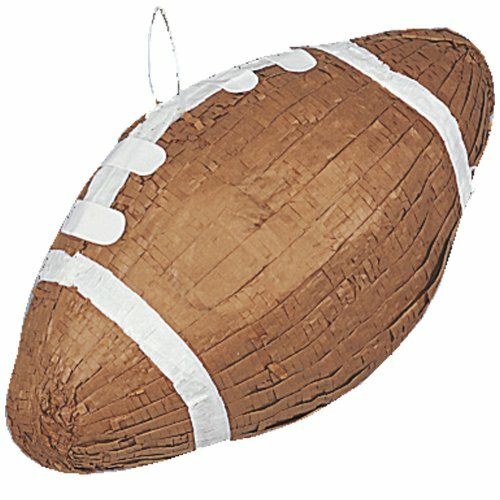 Not just for games, this Football Pinata can also be used as a cool, high flying party decoration. Coordinate with other Football party supplies and party decorations and march your party down the field to victory.